When I was first enrolled at old Gaud School for boys as a fourth-grader in 1961, classrooms were in the 1760’s John Rutledge House on Broad Street. 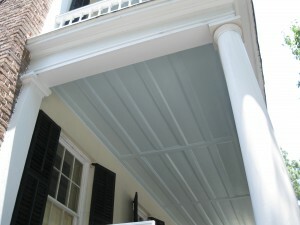 This venerated Georgian structure had been home to Rutledge, who was a signer of the US Constitution, and was later remodeled with details added by the great Charleston iron master Christopher Werner. 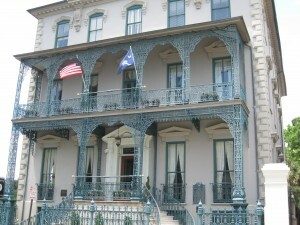 In the early 20th century, it was home to Robert Goodwyn Rhett, Charleston mayor and good friend of President William Howard Taft, who visited the house on several occasions, and it was here that Rhett’s cook, Henry Deas, created the famous she-crab soup as a treat for the President. 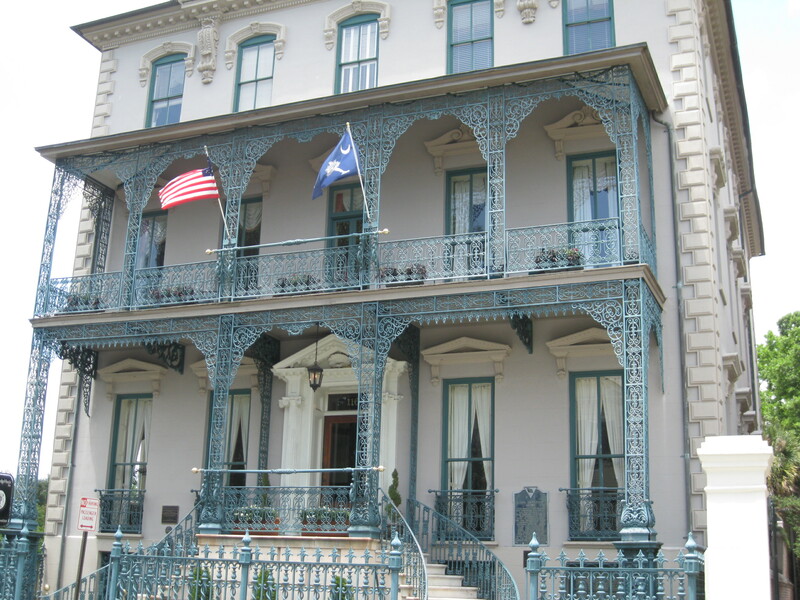 Not only noted for its great beauty and historic connections, the house famously survived the great fire of 1861, which literally passed by next door and ruined 540 acres of Charleston, with the Rutledge House only slightly scorched on its west side. After all this, however, there came three years of young school boys who went to the extent of their creative and delinquent genius to forever change the old building. Exquisite parquet floors became scratch pads for initials, enchanting marble mantels were targeted daily with spitballs, hand-carved doorways were peppered by paper airplanes equipped with needle noses, time-worn iron railings rattled with outlandish yo-yo tricks, and classic staircases were lined with peeled bumper stickers turned upside down to stick on teachers’ shoes. In the same spaces where a Constitution signed dreamed great thoughts and a President was hailed, the swish of rubber-band/ruler guns and the clatter of rolling “steelies” made the Rutledge House a challenging place…not to learn, but to see who could outdo the other in new, entertaining mischief. Alas, the Rutledge House room with which I was most familiar was the second floor area reserved for detention, and I actually found myself there one Christmas Eve, writing “I will not release my ant farm in class” 250 times. Charleston is famous for haunted places, and quite a few people I have known all my life firmly believe that they have ghosts with a variety of behaviors in their houses. On one block of Church Street there are three notable ghosts. There is “the man on the stairs” at 71 Church Street, who supposedly wanders up and down the stairs of the house and has been heard by different families who live there so many times that they actually gave him the name “Mr. Huger”. Next door at 73 Church, Dr. Thomas Dale and his children are said to reappear from time to time, which is quite a feat considering they lived in the 1750’s. And down the block at 59 Church, “the ghost of the whistling doctor” probably does cause a stir, because the Preservation Society plaque explaining the story has the name wrong. The doctor’s name was Joseph Brown Ladd, who rented a room in the house after the Revolution and was known for whistling while he walked. He was involved in a duel in 1786 and was mortally wounded and brought back to his room, where he died. The words on the plaque are copied verbatim from a newspaper story written years ago by Jack Leland, a wonderful man who did have a cocktail occasionally and may well have had his vision blurred when he typed the script, so it came out Joseph Ladd Brown. No wonder the doctor’s ghost is still whistling – he’s ticked off that they can’t get his name right! Speaking of tales told incorrectly, the most painful to hear is the use of the word “haint” for ghosts and referring to sky-blue piazza ceilings as colors meant to ward them off. The term “hant” is an old Gullah word referring to a ghostly presence, not “haint”. And from the Gullah traditions, one of the most menacing hants was the “Plat-eye”, a ghost who entered peoples’ bodies and made them do awful things. The Plat-eye’s only weakness was that it could not cross over water, and thus, many houses in the remote areas around Charleston long featured sea-blue paint around door and window frames. So, there may well be a number of ghosts lingering in and around old Charleston houses, but they ain’t haints, and the sky-blue ceilings are simply a pleasing color scheme that have nothing to do with haunted places.